You now have your amazing Salesforce system and all the personalisations and configuration stages are complete. You’re really happy with it and you know how much the new system is going to benefit your team, so why are you finding no one is using it? Teams can sometimes be reluctant to adopt a new system. It is a common occurrence that people get stuck in their ways and are not so embracing of change. Luckily, there are some simple areas to explore to help encourage users. Start at the top. Ensure you have someone at C-level or as close to as possible, to be responsible for your system. Don’t underestimate the power of a strong leader. If lower level employees can see they are getting the same opportunities as those at top level, they should be more inclined to use the system themselves. Having a high level member of staff responsible for the system allows users to have a guide and someone to follow. There is a lot that can go wrong in the implementation stage and quite often something does. Self implementation leads to some hard to fix errors that mostly could have been prevented. Hiring a consultancy allows you to relax while they do all the hard parts for you, getting you ready to start using the system straight away. Some users will push back, they are so used to the old ways of working that it becomes difficult to make them comfortable with anything new. With the right encouragement and training however, retro practices can be left in the past. Show users exactly the elements that replace each of their previous methods they’ve used and promote the ease of the system tailored to them. 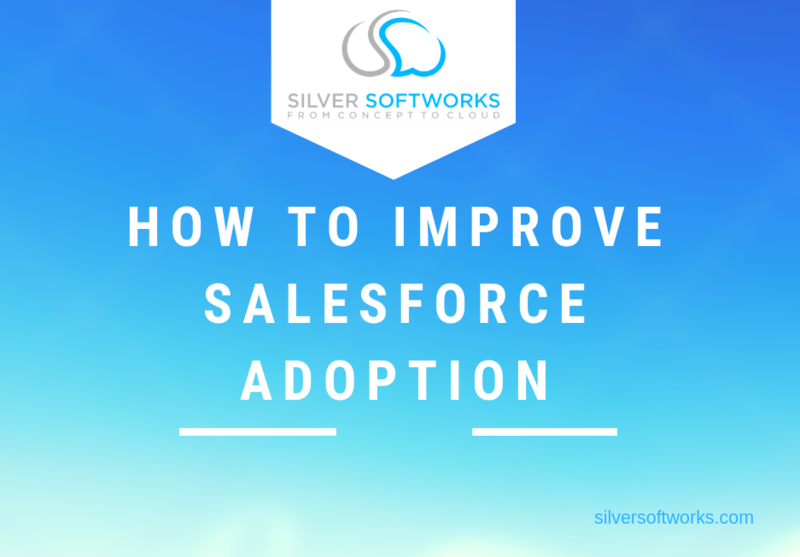 The most efficient way to grasp Salesforce is to learn from the professionals, gaining informative and personal training. Hands-on experience is essential to learn a new system, allowing everyone to utilise its advantages with on-the-job style relevant examples. You should also be sure to appoint a centre of excellence, meaning an internal expert is on hand for all things Salesforce. They will be trained on all the specifics your company needs and ready to showcase their skills in the workplace as well as assist others. When assessing the success of your business you need to be able to create accurate comparisons of data, stock levels, successful deals and any other relevant areas. If this information is not in the system then there is no evidence any transactions ever occurred, causing incorrect data and we all know how inconvenient that is. Everything must be in the system to count, so make sure this is a top priority! Support allows for implementation to be taken care of successfully and any ongoing adoption issues off of your hands, allowing you to have the most comfortable and productive experience possible. Make sure you are always ready for new updates and are getting the most out of your system and any new features that may arise. On average around 4% of your data each month will become irrelevant as people change job roles or needs or even their information. To help with this retraining and ongoing support is essential. You can’t always trust that everyone listened to your lessons, sometimes it’s best to have proof. You are able to check who has never logged in to Salesforce and change your wall of fame to a wall of shame, to deter staff from avoiding the system. After all, you want to enhance your ROI in any way you can to ensure correct licences and money is being spent well. Check out the Salesforce Adoption Dashboards Package here to help. If you would like to find out more about adoption and how we can help, get in touch here.